How to get started watching films. Those who are not familar with my case studies,I would give the brief outlines of these films which both are based on true accounts of people who survived the treacherous conditions of World War 2. 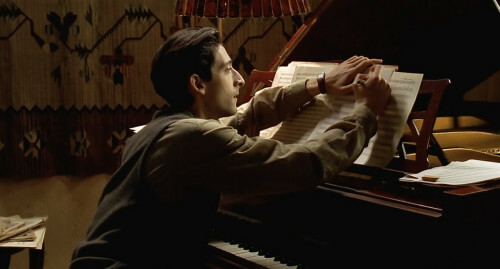 For Polanski’s The Pianist-it goes about a radio pianist Szpliman (Played wonderfully by Adrien Brody) who have been forced into the darkest period of WW2-The Holocaust,and his trials and tribulations to survive these odds. On the otherhand for A Man Escaped (Un condamné à mort s’est échappé) ,it goes about Nazi resistance fighter Fontatnie,who was thrown into a German POW camp and about to face a death sentence however he have plans to escape the camp. Both films have their main protagonists faced opposition from the Nazi forces,for Szpliman-it was the discrimination of his religion while Fontanie,was the planned coup to bomb the Nazis. It was interesting to note that the directors both have experienced the WW2,for Bresson himself-he was imprisoned in a labour camp for a year and half and while Polanski have a traumatic experience of the holocaust,where he was separated by his family and only saved by a farming family and later reunited by his father after the war. 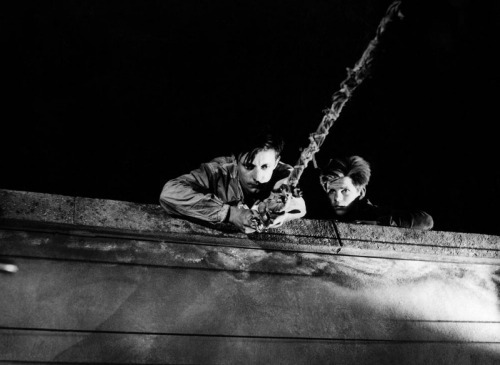 For the Pianist,the scene where Szpiliman was saved from going to the concentration camp was based on a similar experience Polanski encountered. While Fontanie’s ropes and hooks are based on Devingy’s hooks he actually made for the escape. Therefore they managed to incorporate their experiences both visually into their works. Now I would like to focus on they managed to heighten the mood aurally,both films are lead by a particular classical music piece which shows the character’s journey arc,for The Pianist,it was Chopin. To Szpilman,playing Chopin is basically his life and identity which linked to Chopin whose pieces were considered as the pride of the country himself. We opened the scene with Szpliman being calm and collected while doing a recording of Nocturne in C# Minor. There we are shocked by the bombings which deafen our ears. It symbolized about his personal world being crashed. Even when he was hiding,he goes by and imagine himself playing his piano and we hear that Chopin motif of Nocturne in C Minor,which shows the escapism from the situations he wen through. However it was that music piece which eventually saved his life from being killed by a German Officer. We opened the scene reeked with silence,on Szpliman attempting to get the pickle out of a jar and failed. It added to our minds the fear whenever he will be discovered. There it broke up with the question and of course we hear Szpliman speaking again since the hideout. He was fearful yet uncertain. There it was heighten by the walking of the footsteps,where he sits in and played that piece. It was nothings but faces of awe and pure beauty,that even the officer was moved by his playing. It did paid off where Szpliman,now in better health performed in a live concert with a united Poland where he performed Chopin. Therefore Polanski’s efficient use of Chopin,symbolized the identity of Szpliman from the somber Nocturme to a slighty optimistic Grande Polonaise Brillante Op. 22 that the passion for music actually saved his life and sanity. While on the other hand,Bresson’s use of Mozart’s Mass in C Minor-Kyrie added an underlying tone on Fonatnie’s emotional fate. Interestingly Kyrie Elesion,in Latin means “Lord Have Mercy” which shows Bresson’s Catholic background and highlights the struggle Fonatnie have on believing he can escape. David Bordwell seen this music motif as “his main means of direct contact with other prisoners.” We seen Fontanie as aloof and skeptical about the faith,especially his scorn to the Pastor,”If God is good,why don’t he help us” which highlights the doubting faith. As the film goes,this music motif,shows his growing trust and faith in others which leads to a young boy Jost which the mass was played. By using this motif,it added that idea of faith being difficult to be wrangled alone but we need others in order to be alive spiritually. Here both films have the efficient use of silence to create the suspense and aloofness the characters have to face,while Szpliman’s lines are very sparse to show off the Jewish voice being cut-off. We only hear him speak on the first half,to show the growth of Jewish opposition and him playing the piano infront of the general. We are only allowed to follow Szpliman’s journey by his actions and emotions whenever it was his fear in hiding or his little victories. While on the other hand,we got into Fonatnie’s wrold by his voice-over to help us follow the story which Bordwell analyze was either “clarify the action“,”receive other vital information through the commentary. Sometimes the narration simply states facts” or “what his thoughts had been “. For instance where he think over how he opened the door or perhaps his fate when he was freed from his death sentence. However it sounds distant as it never pinpoint where it came from “since we never learn whether Fontaine is thinking back over these events or recounting them to someone.” The only times we heard him speak physically was the exchanges between the POWS or Jost,the young boy. There it was sparse as we are more focused on his small actions like chiseling the spoon or writing letters to the wall. It highlights again on Fonatnie’s aloofness with that environment. Now here is how the sound design of these films come into play to heighten the mood of these films. For A Man Escaped,we are surrounded by the sounds of prison life,and the motif of his freedom was the sound of trains he heard from his prison window. Everytime he gets nearer his goal-the train sounds will heighten. 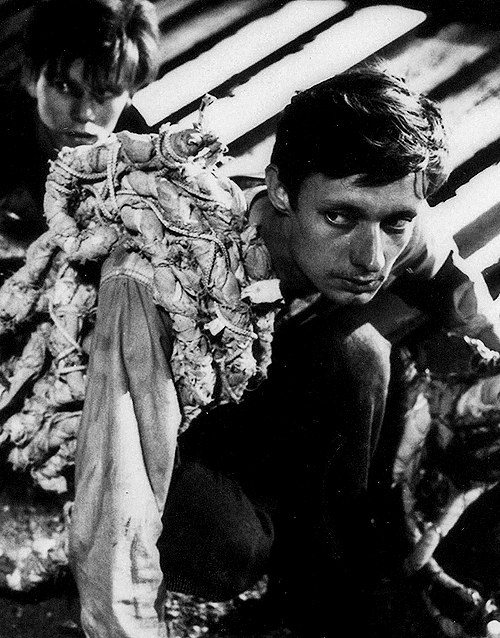 Bresson wrote on efficient sound in film that “the noises must become music”. Even at the pivotal scene where Fontanie and Jost are escaping,we fear for the protagonists’ inability to escape by the loud ringing of the bicycle sounds,the soft gravel sounds and even the footsteps gave us the worry that they would be caught. On the other-hand for The Pianist,where Szpliman was in hiding at a friend’s apartment-we get to hear the “sights” where there is abrupt noises everywhere and it seems to raise higher as he watched the violence passively. It shows the trapped nature that Szpliman faced,that he is even unable to save his own family. Therefore in conclusion,both filmmakers managed to create the atmosphere of WW2 by the use of sound. Despite going into different directions,they actually played the sound in order to drive the action. For Fontanie it lifts the idea of faith is not without any driven actions ” in Bresson’s view, to intervene on our behalf. But our own actions, and our determination despite the obstacles in our path, are the most important factors in our survival and in overcoming the evils that life confronts us with.” like how they used the sound of the chiseling spoon to show an aspect of faith. On the other hand,in The Pianist it could be said that the chaos could not shut off a person’s spirit even at times of darkness,like the contrast of deafening silence to the Chopin pieces which symbolized Szpliman’s identity. They used their real-life experiences and translate it to the screens where we journey the characters themselves. The Maltese Falcon (1941)-the queerness of Joel Cairo and the threat of male society.